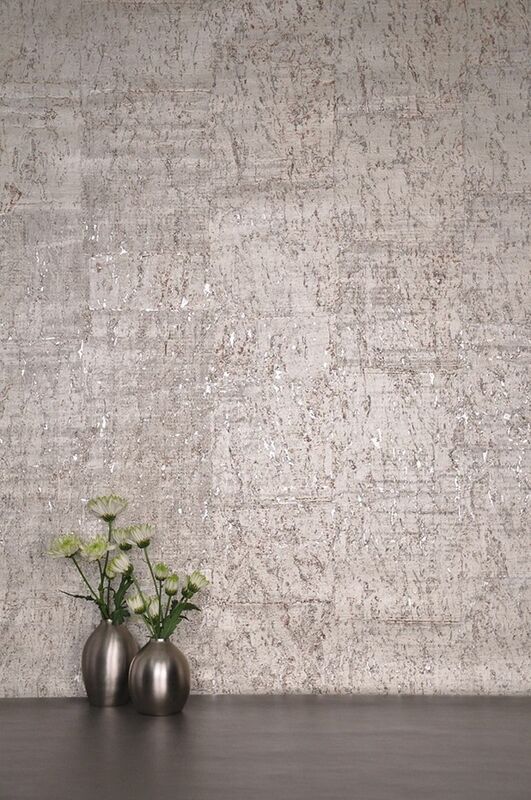 Cork wallpaper increasingly become popular in the design of modern interiors. It is not surprising, because they are based on natural material, which allows achieving the effect of closeness to nature. “Cork” – this is what the cork oak bark is called in everyday life, the main feature and advantage of which is its rapid regeneration. It is received from 15-year-old trees, extracting from the trunk once in 10 years, which is completely safe for the tree. Moreover, it retains its properties for up to 200 years. A large producer of cork is Portugal. Less often it produces in France, Italy, Spain and the north of Africa. ease of maintenance – these wallpapers are easy to clean, do not deform when exposed to water and household chemicals. pets – cork wallpaper and favorite pets are incompatible with each other: the temptation to chew a cork or sharpen a claw on it is very strong. Therefore, you will either have to refuse cork in your interior or place such a cover outside the animal access zone. How to choose cork wallpaper? on a paper basis – cork veneer is pasted onto the paper itself. The texture of such a coating is very diverse and expressive, with a wide color palette – from light beige to dark ocher ones. self-adhesive wallpaper – something in between a roll cork and cork wallpaper. It is enough to simply remove the paper layer from the cork base, on which the glue composition is pre-applied, after which it is possible to glue the walls. But keep in mind, such a finish is far from a guarantor of a durable and effective result. Shades of sand, golden, brown and beige will add heat to any room, making it conducive to relaxation. This is what contributes to the frequent use of cork in Country styled homes or ethnic design. The dirt resistance and mechanical strength of such wallpaper causes a high demand for it in the design of commercial buildings with high traffic, halls, corridors, offices. The use of cork wallpaper in the interior suggests some limitations in the choice of furniture. Even in combination with other coatings, the cork creates a sense of wood excess in the room. Therefore, in a room decorated with cork, there should be as little wooden furniture as possible. The elegant polished dark colored furniture fits the cork perfectly. Tip: dyed cork fabrics are optimally combined with synthetics. Despite the interesting texture and natural color, monotonous cork coating is quite boring. It is better to refresh it with patches, tastefully decorated with other materials. Note: when combining different types of wallpaper, the main thing is that the difference is not noticeable. Therefore, in the case of cork cloths, it is necessary to select sufficiently thick types. If you can`t hide the difference in thickness, you can use decorative moldings or docking materials. Before proceeding to the gluing, the wallpaper needs to be deployed and to lie down in the room for a while. It will be good to cut it immediately into strips and leave them under the press for a few days. Although the structure of cork cloths is quite heterogeneous, they do not hide the defects of the wall, so its surface should be flat. Cork wallpaper is “heavy” by its structure and density, so it requires a quality reliable adhesive, for example, acrylic. wallpapering with acrylic glue requires promptness, so large pieces of cork cloths are best to be handled simultaneously. Paste area of ​​wall same as a glued piece of wallpaper with acrylic glue. Spread evenly the adhesive with a plastic spatula. Attach a piece of wallpaper to the surface so that there is no air inside and press down. Remove the excess glue with a knife. Do not try to clean the glue with water. This will result in the formation of a white coating on the wallpaper. Therefore, allow the excesses to dry and then gently scrape or cut them off.